Review: The first of two major Infinity licences from AOTN this month, this is a significant excavation even by renowned digger label founder Fryer's standards. 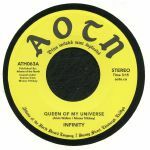 Usually seen passing hands for well over 500 quid, this second and last single from the relatively unknown troupe Infinity is a stone cold jam that's been sought after for many many years. Absolute rare groove sleaze on the bass and horns, "Queen Of My Universe" sparkles with soul in every element. Meanwhile "Up" strips things back even further with an uptempo disco twang and tight Q&A vocal play between the band. Infinite love for this one! 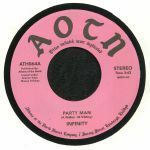 Review: The second of two AOTN Infinity 45s, AOTN dish out another superb reissue from the late 70s US seven-piece. 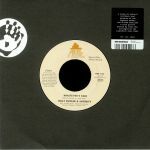 Serious funk soul once again; "Party Man" lives up to its name with a thumping groove, slinky slap bass licks and big call and response vocals. Instant feels. "Put Everything In Place" is a little more restrained but still very much party minded with its absurdly lavish bass walks, jaunty piano and delicious Faze-O style falsettos. To Infinity and beyond!